African-American artist Pharrell Williams put out a catchy pop tune called Happy in late 2013 for the soundtrack of the animated film, Despicable Me 2. The very first time I heard this track on the car radio, I knew it would be a mega-hit. Indeed, it peaked at #1 on the charts in dozens of countries, and with good reason. It is a transcendental song, with simple and clean vocals accompanied by uplifting lyrics and minimal instrumentation and backup female vocals in a gospel style. Most important of all, the song is about happiness, that universal emotion fitting perfectly with Pharrell’s vibe. In fact, the music video unexpectedly forced a wave of strong emotions through me when I saw it thanks to its display of innocent, unbridled joy. The song is transcendental not only because it would have been a mega-hit if recorded at any time between 1914 and today- defying time itself- but like truly great music produced anywhere in the world, it knows no borders. Fans in places around the world, including Abu Dhabi, Paris, and Slovakia amongst dozens of others have produced their own versions of the music video, each of them uplifting in their own way and featuring smiling dancers of every age and background. (and the brunette dancer in the Slovakian one is smoking hot, check out that link). Several Indian cities have gotten in on the act, too although they are a bit late to the party. Perhaps this is what globalization should really be about: spreading some love and joy through music. It truly shouldn’t matter where you are from and who you are to dance to a nice ditty! At times when I hear this song, I start believing again, for just a brief, brief moment that world peace is possible, as I did when I was a little boy. Check out the following. I’d never even heard of Vizag before but it looks like a cool place! And if I’m not mistaken, Chennai got the most views so far. 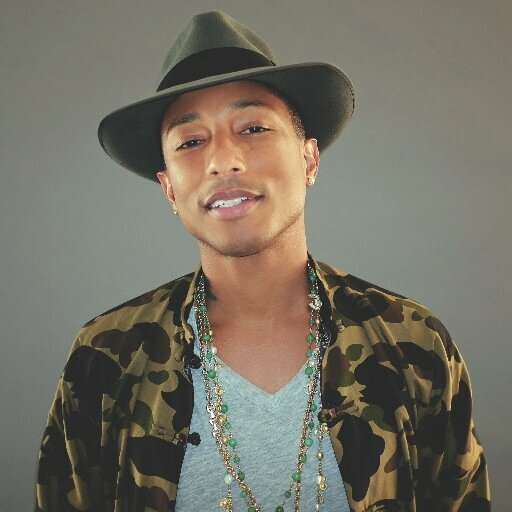 Kudos to Pharrell, a multi-faceted American treasure and the people around the world who recognize his music. Posted on May 8, 2014, in Culture, Video and tagged Bengaluru, Happy, Indian-American, Kolkata, Mumbai, Pharrell, US-India, Vizag. Bookmark the permalink. Leave a comment.